The impact that losing their hearing has on someone varies greatly depending on the individual and how they experience hearing loss. Most people will experience a reduced ability to communicate and understand others, especially in loud situations. 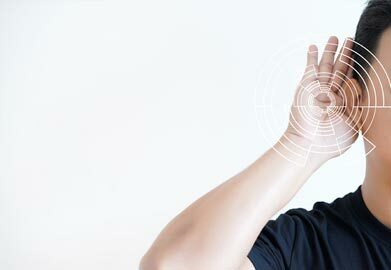 This can cause frustration, and also lead to further adverse effects, impacting various aspects of their life besides hearing. Health Risks Associated with Untreated Hearing Loss – If hearing loss is left untreated, it can reduce your quality of life and overall well-being. Other health impacts include muscle tension, headache, stress, and increased blood pressure. It can also lead to depression, social withdrawal, and impair your memory. Hearing Loss Can Increase Depression – Those who have untreated hearing loss experience a higher level of depression even when compared to individuals who use hearing aids. They reported having feelings of sadness or depression that had lasted for more than two weeks and are less likely to participate in social functions. Social Isolation – Individuals with hearing loss may become uncomfortable participating in various activities. These can include dinners, parties, getting involved in sports, or even visiting friends and family. They may feel uneasy, or like they are a burden to others and withdraw from these activities. By utilizing a hearing aid, they can improve their hearing and begin to enjoy more aspects of their life. The hearing professionals at Bravo Hearing Centre in Etobicoke know that hearing is an essential part of nearly every aspect of your life. For this reason, we strive to provide the best advice and recommendations to improve your hearing and your life. Our team is committed to providing services and support based on the individual needs of each patient.